Tunis, Tunisia, 15 March 2019: The first Bureau meeting of the African ‎Union Specialized Technical Committee (STC) on ‎Communication and Information and communications technology (ICT) convened in Tunis, Tunisia on 15 March 2019, on the sidelines of the High Level Forum on Digital Transformation of the Postal Services in Africa. The meeting’s overall objective was to discuss and deliberate on the level of implementation of the activities by the AU-STC in accordance with its two years’ work plan and the level of operationalization of the Secretariat. In her welcoming remarks, African Union Commissioner for Infrastructure and Energy, H.E. Dr. Amani Abou-Zeid thanked the host country, the Government of Tunisia for organizing this meeting and commended the efforts and progress attained by the AU-STC in the two sectors (communication and ICT) and in infrastructure development in general from the period of its operationalization in 2017 till present. She highlighted some of the achievements in the sector including the development of Guidelines on Security, Privacy and Personal Data Protection; training of more than 500 national experts on ICT modern infrastructure and more specifically on Cybersecurity resilience, Cybercrime and personal data protection; as well as building capacity of Africans on Internet Governance; partnering with UNECA and the World Bank Group on Digital Identity and e-Governance and development of a digital strategy. Before concluding Commissioner Abou-Zeid called on all Ministers and Heads of delegation present to continue supporting the Africa Union Agenda 2063 by creating innovative solutions in digitalization to allow the continent to leapfrog the digital divide and overcome under-development to drive its transformation agenda. Also speaking in the opening session, the Chairman of the Specialized Technical Committee (STC) and Minister of Innovation and Technology of the Federal Democratic Republic of Ethiopia, H.E. Dr. Eng. Getahun Mekuria welcomed participants to the meeting and reminded participants that the work of the Bureau was to coordinate activities of the African Union in between sessions of the STC. Summarizing the main issues to be considered, the Chair acknowledged the impact that ICTs have on social economic development of African nations, fast-tracking the region into an information age and enabling African people to create access, utilize and share information and knowledge. He stressed that this would lead to greater productivity, increased competitiveness and sustainable economic growth, which are pre-conditions for poverty reduction. During the one-day meeting, the First Meeting of the STC Ministerial Bureau considered and evaluated implementation of the STC Plans of Action for projects at the continental and regional levels for the Communication and ICT sectors as well as addressed the challenges and, finally, agreed on the way forward. In his closing remarks, the Chair of the Bureau, H.E. Dr. Eng. Getahun Mekuria, saluted the participants for the quality of expertise and discussions and degree of engagement on the topic and wished them safe travel back to their respective countries. More than twenty African Union member states attended the meeting of the Bureau. The Republic of Algeria offered to host the third STC in Algiers on 16-19 September 2019. 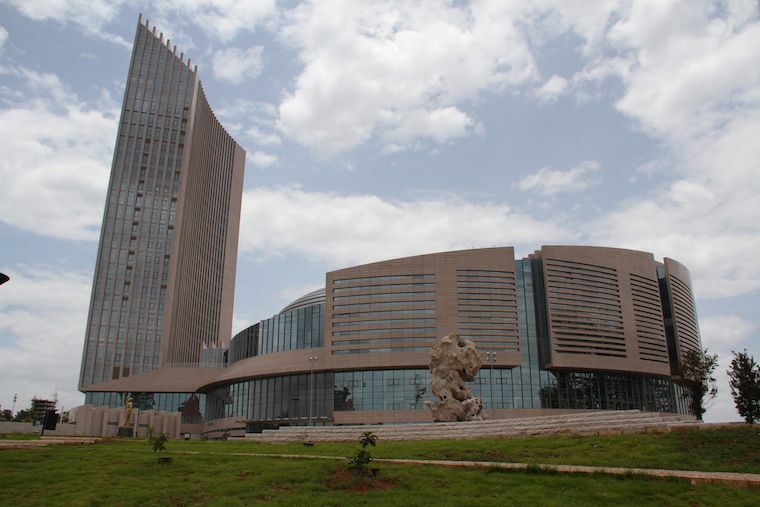 The Specialized Technical Committees (STCs), which constitute an important technical organ of the AU, were established under Article 25 of the African Economic Community Treaty (the Abuja Treaty). With the transformation of the OAU into the AU, the STCs were carried over by the Constitutive Act of the African Union under Articles 14 to 16. The STCs are expected to work in close collaboration with the various departments of the AUC so as to provide well-informed inputs in their areas of specialization to the work of the AU Executive Council. They should also, be involved in monitoring development programmes implementation by the AUC and Regional Economic Communities (RECs). Therefore, the early operationalization of the STCs becomes imperative, given the overall objective of accelerating continental integration and the importance attached to the effective implementation of programmes and projects of the Union. To this end, the Assembly of the Union adopted The Decision: Assembly/AU/Dec.227 (XII) reconfiguring the existing STCs and created one on Communication and ICT.